Celebrate harvest with us this October (7th-31st). Fun for the whole family! 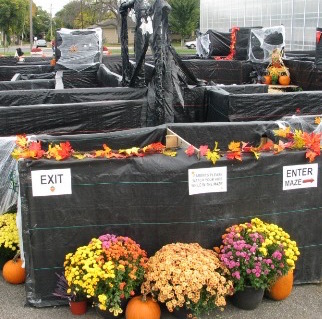 Come and explore our pallet MAZE located at out Minneapolis location. Open 7 day a week during store hours. Buy any pumpkin and paint it for free. Make a scarecrow for $10. Includes frame, straw, burlap and string. Bring your own clothes or purchase them for $5.